Brian Calley is the president of the Small Business Association of Michigan. He served as Michigan’s lieutenant governor from 2011 to 2019. For many, this might seem unthinkable. However, for someone with autism attempting to enter the workforce, this is exactly the reception they receive. While we build our lives to highlight individual strengths, too often people with autism are immediately and unfairly judged by their perceived shortcomings. It is time to change our view and tap into this highly-skilled workforce. Michigan can’t afford to leave these passionate and talented people behind. I am the first to admit, I am also guilty of focusing on shortcomings. When my daughter, Reagan, was first diagnosed with autism, I became unsure of what she would be able to accomplish. I immediately focused on her disability, instead of celebrating her abilities. Luckily, I have had many chances as Reagan’s dad to be amazed. Every day, she shows me how wrong my gut reaction was, and I am so proud of her many talents. She is an avid reader of things that interest her, which span from oceanography and whales to the lives of pop music artists like Taylor Swift. Though I’m amazed by what she knows and the connections she makes, like any parent I’m worried about her future job opportunities. People with autism are an amazing, untapped pool of talent that are patiently waiting for the right job. Waiting patiently for an open-minded employer is not enough. We can change this, but it involves widening our view of the right workforce. During my time as lieutenant governor, I had the opportunity to work with and learn from companies doing innovative things to recruit diverse talent. For example, Meijer has found great success by hiring people with autism by focusing on what an employee can do and excels at and tailoring jobs and responsibilities to fit the person. This is what everyone wants in the workplace: to be understood and have the opportunity excel. I want to be clear, I am not advocating for businesses to consider hiring people with autism as a form of charity. People with autism should have the same opportunity as anyone else to excel and thrive in the right position. Making a more inclusive workplace is not a concession, it is an innovative business opportunity. Michigan businesses lead the world in innovation, let’s bring this spirit and knowledge to change who and how businesses hire. With the talent and workforce shortages that Michigan is currently facing, there has never been a better time to ask employers to think about how to get the right employees in the door. Whenever I talk about employment and autism, I always think about a young man I met who excelled at math. Through a program supporting employment for people with autism, he started an internship with a company to review warranty claims. During the course of the internship, he helped the company save thousands of dollars. It’s safe to say, they were pleased. Ultimately, he was hired as a full-time staff member doing the same work. During a visit to the company, I had the opportunity to meet him and I asked him if he was still finding thousands of dollars in savings. His answer was simple: “No. Millions.” To him, this was not extraordinary. It was his job. Stories like this are remarkable, but they shouldn’t be. They should be common, because anyone with autism can succeed in the right position, just like anyone without autism. We just need to open our minds, and help connect the right opportunities. Like any parent, it is my dream that when Reagan goes into her first job interview, she will be measured by what she can do, as opposed to what she cannot do. There are many Michiganders facing the same uphill battle as Reagan. Let’s find a way to bring them into the fold, so we can all benefit. No, people who can contribute to a business' bottom line is good business. This is just a mediocre attempt at a feel-good fluff piece by a former politician trying to remain relevant. And someone who used his political office to get state government to make Michiganians pay for his daughters health insurance by requiring coverage on everyone's policy should really be ashamed of himself. Especially considering what he and his wife were both being paid for being politicians during that time. Did he even stop and consider that we had other priorities more pressing than those his family was facing? 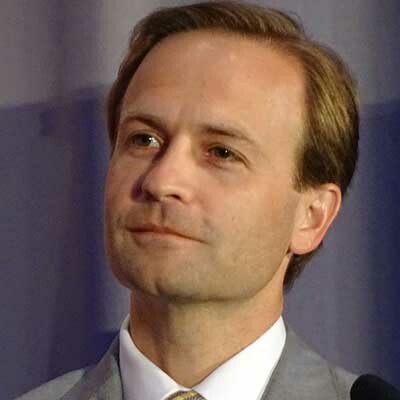 There IS a reason why Brian Calley is not Michigan Governor right now. In the opinion piece, he straight-up gives an example of an autistic person using his intelligence to excel at a job and save his company money. He's outright saying that autistics can absolutely *be* the right person for the job. But like so many other people, you ignore what the article says and jump right into the comments section to leave some anger. Never said that they didn't, Chris. However, Calley's pattern of behavior, and IMHO is the reason behind this piece, cannot be ignored on this issue.